To further the mission of creating a more sustainable community and planet, EcoApprentice is proud to partner with businesses and nonprofit organizations that share our social and environmental values. Read on to find out who they are, and contact us if you’d like to become an EcoApprentice partner. TerraCycle‘s purpose is to eliminate the idea of waste. We do this by creating national recycling systems for previously non-recyclable or hard-to-recycle waste. We have a great program in which schools & nonprofits are paid to collect material that would otherwise end up in landfills. With more than 20 million people collecting waste in 14 countries, TerraCycle has diverted billions of units of waste and used them to create over 1,500 different products available at major retailers ranging fromWalmart to Whole Foods Market. GreenTowns is a new network that connects and celebrates local green initiatives, their leaders and the sustainable communities we are all striving to create. It brings together successful sustainability efforts at the local level, presents these initiatives by town and by category, and invites people to share their expertise and experiences. In this way, GreenTowns makes it easy to: discover inspiring green initiatives, share your questions, expertise & support, and help grow sustainable communities. The Green Suits, LLC is a nationally known, and highly respected executive search resource which provides recruitment and career development services to companies, organizations, and candidates. Since 2006, we have empowered The Green Suits®—passionate and ambitious business executives seeking careers in corporate sustainability, green/clean tech, social responsibility, green marketing, and other green business-related fields. 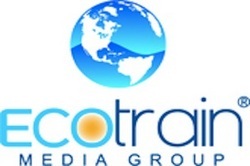 Ecotrain Media Group is a Pacific Northwest publication company that empowers various green workforce initiatives. These initiatives address social and environmental crisis’ while putting people back to work and creating new jobs. We are innovating a green work force, one individual at a time!